Why run a Marathon when you can listen to one? 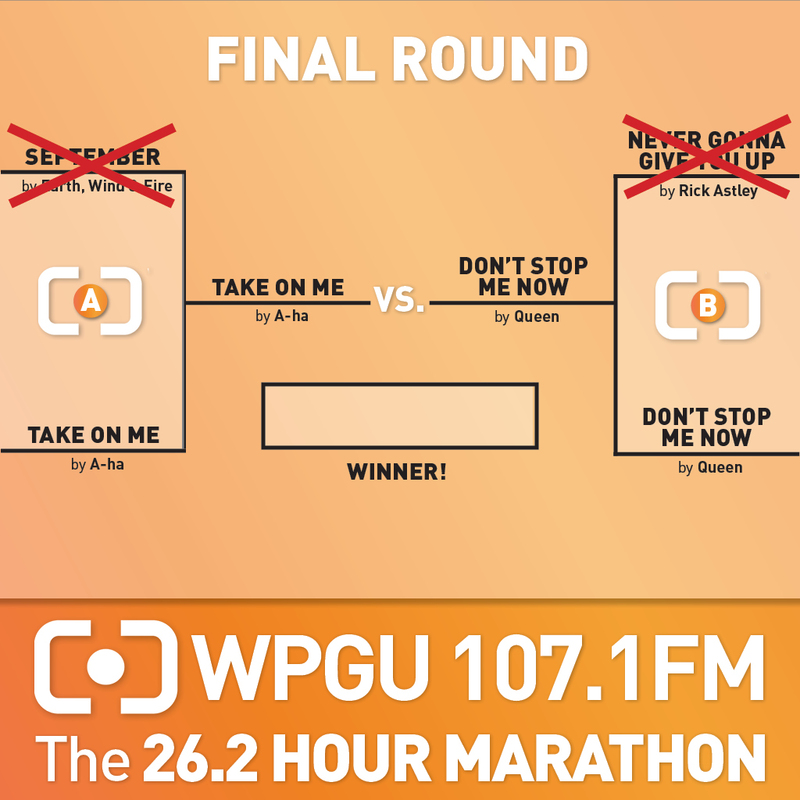 WPGU 107.1FM proudly presents the 26.2 Hour 1-Song Fundraiser! During the weekend of the Illinois Marathon: Friday April 26th to Saturday April 27th WPGU will be playing one song, and one song only during the whole time period of 26.2 hours! Here is the important part: the choice is yours! You get to vote on our bracket and choose which throwback song you want us to play! To challenge ourselves, we will place DJs in the studio the whole time of the 26.2 hour fundraiser. These DJs will have to announce the winning song every time at the end and the beginning of it. To make us stop playing the song, and to help the DJs from going insane we will be raising money for our GoFundMe Fundraiser for the 26.2 hour marathon.